Are you in the mood for another tear jerker? The Light Between Oceans tells the story of a lighthouse keeper and his wife who find a baby adrift in a row boat. They decide to keep the child and raise it as there own leading to devastating consequences. The Light Between Oceans is based on the novel written M.L. 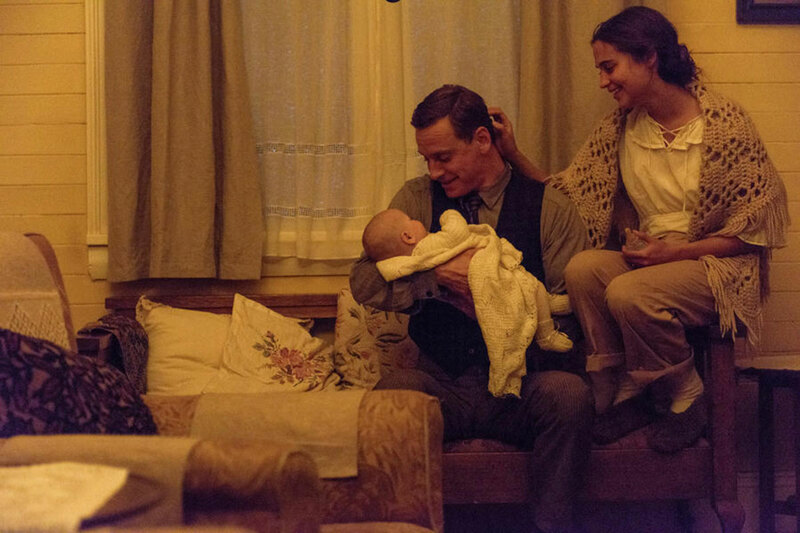 Stedman and stars Michael Fassbender, Alicia Vikander and Rachel Weisz. Michael Fassbender just finished playing Magneto in X-Men: Apocalypse. His girlfriend, Alicia Vikander, just finished messing with Matt Damon in Jason Bourne. Last I saw Rachel Weisz was in The Lobster. I enjoyed each of these films in various degrees, however, the performances from these actors is what really stood out. Hearing that they will appear in a film together is exciting, to say the least. This film is definitely aiming for Oscars season with a touching tale that is sure to get the tears flowing. The trailer shares Tom Sherbourne and Isabel Graysmark’s tragic battle with conception and miscarriages. The Australian couple find the cutest baby washing ashore in a rowboat all alone. After some debate, they decide to keep the baby and fulfill their dreams of raising a child of their own. This decision follows them years later when they meet the biological mother of their daughter, Hannah Roennfeldt. I haven’t read the novel, but it looks like Hannah means well, so of course she wants the kid back. It makes it difficult to side with a party when both deserve what is so sought after. I tend to enjoy romantic films dealing with real people and real emotions. The issues these characters have to cope with are real and raw. They are incredibly relatable. Coupled with Oscar-worthy performances, I think The Light Between Oceans fits the part. You can find The Light Between Oceans in theaters September 2, 2016. Watch: McAvoy Is Terrifying In First Trailer For 'Split'Did Henry Cavill Just Tease Superman Returns? !